Democrats are saying President Trump is a racist for political gain and to distract Americans from President Trump’s accomplishments. With the economy growing, the stock market at all time highs, and low unemployment, Democrats desperately needed to change the momentum President Trump had following the numerous companies giving bonuses, raising wages, and the hour long White House meeting on DACA. 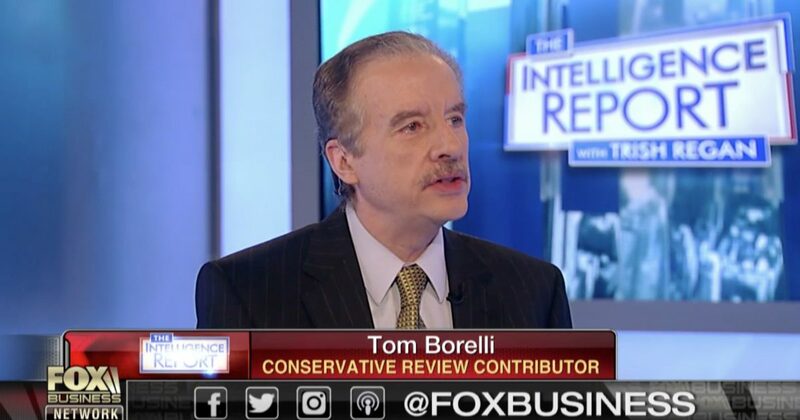 Conservative Review contributor Tom Borelli Ph.D. discussed this topic on Fox Business Network’s “The Intelligence Report with Trish Regan,” with host Trish Regan and Democrat strategist Robin Biro.